In the Summer of 1921 my grandfather, John Dodson Taylor, Jr. (1905-1976) and a sister, Helen Dodson Taylor (died February 13, 1977), stayed at the Grove Park Inn, Asheville, North Carolina, a fine resort. 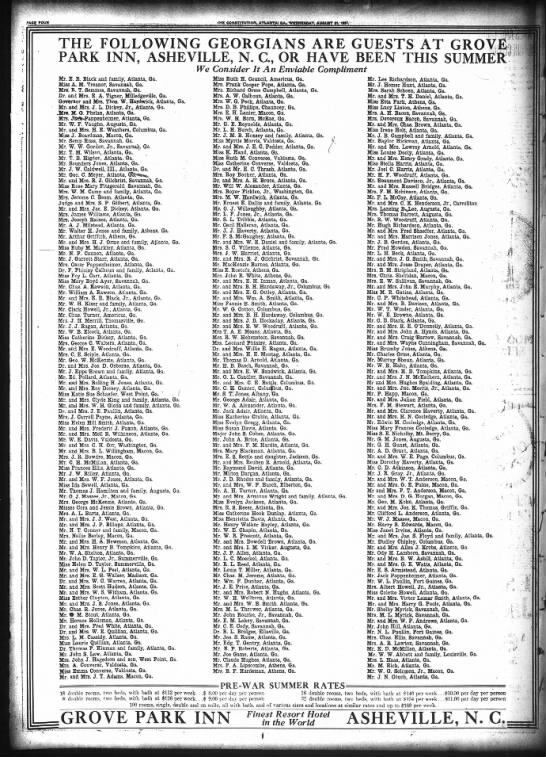 The advertisement lists their names in the left column, at the bottom. Maintaining this resolution prevents blurring it. The dating of this image is uncertain, but 1915-1917 is probable. In the middle, holding the dog, is my grandfather, John D. Taylor, Jr. (1905-1976). 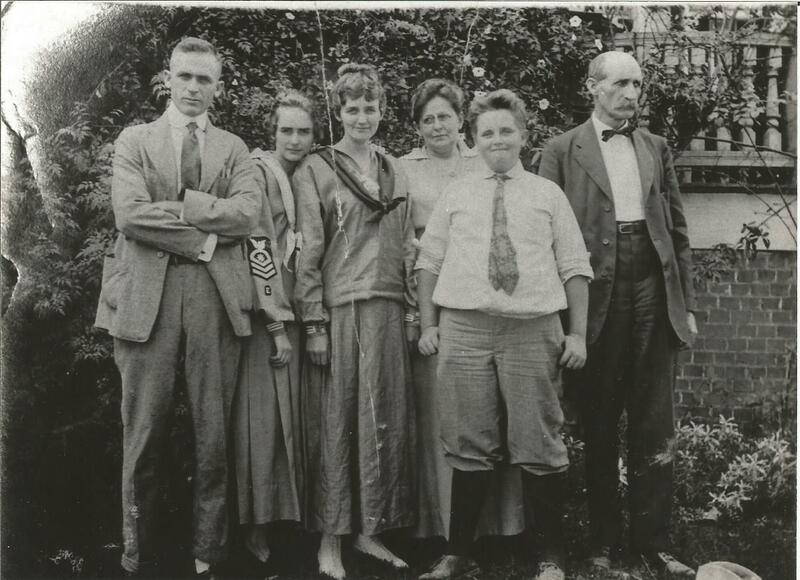 To his right is his sister, Helen (died 1977), who moved away to Chattanooga, Tennessee, in 1924. 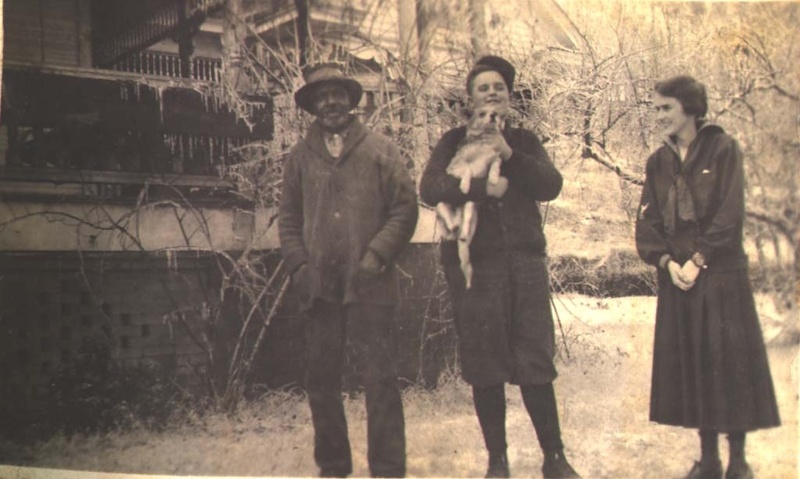 To my grandfather’s left is Johnny Sandford, who worked for Eugene Stoddard Taylor, Sr. (1890-1944), my grandfather’s uncle, and Eugene’s wife, Adeline Wright Taylor (born circa 1892), who lived in the house on the plot to the immediate left. 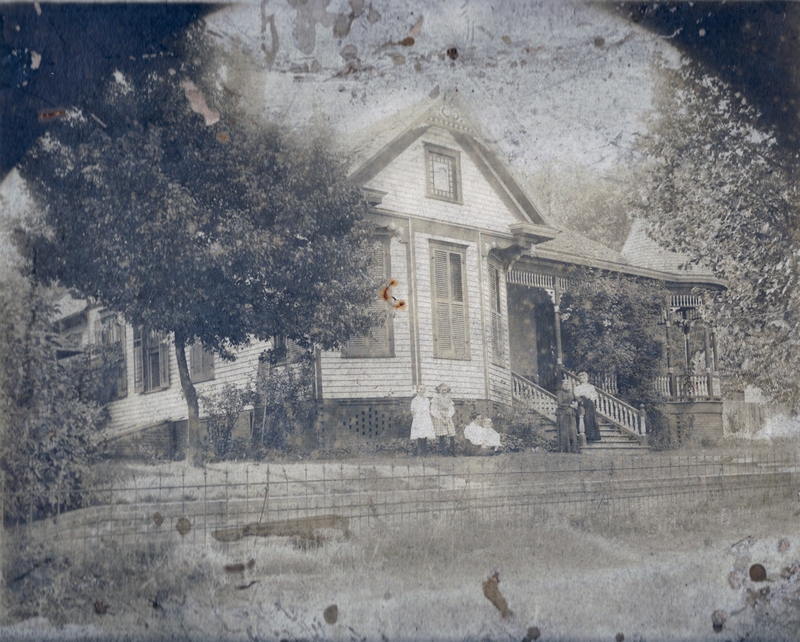 Of particular interest in the photograph is the front of old north wing of the house, visible in the background. 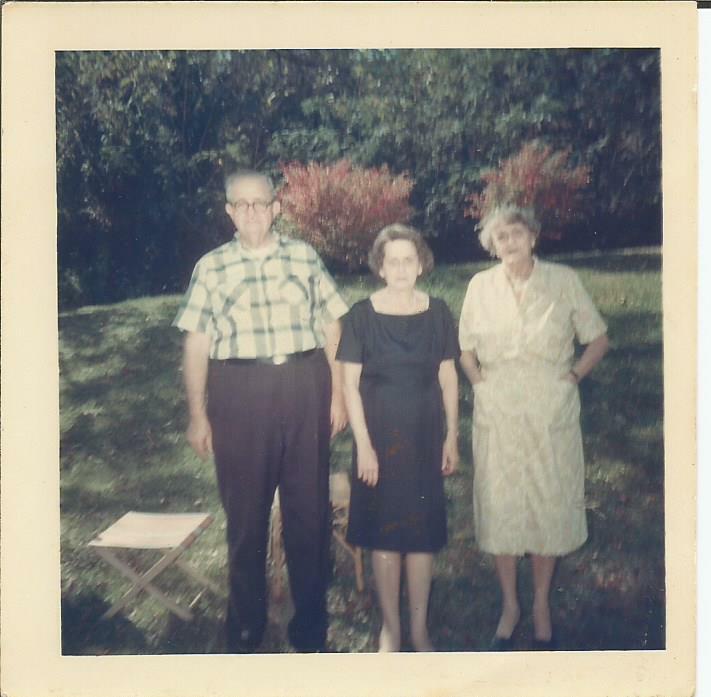 My grandfather had that wing removed in the early 1960s.